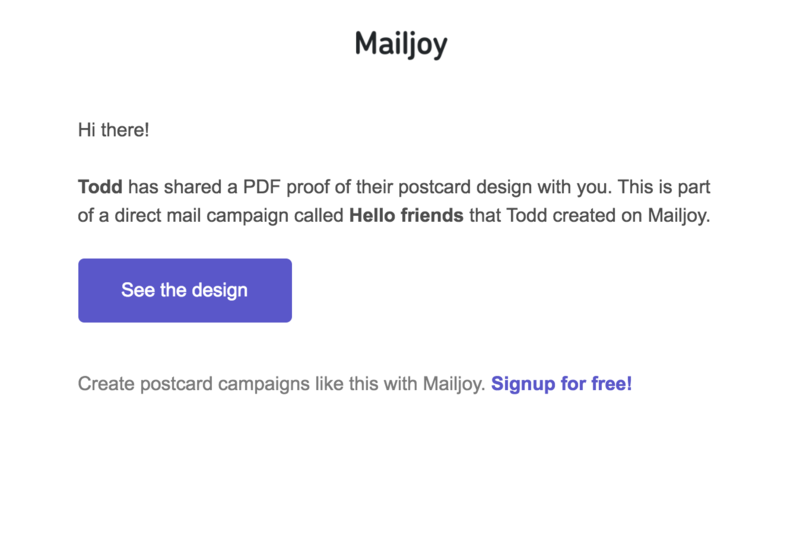 Mailjoy makes it easy to share your design with co-workers, friends, and other people involved in your campaign. 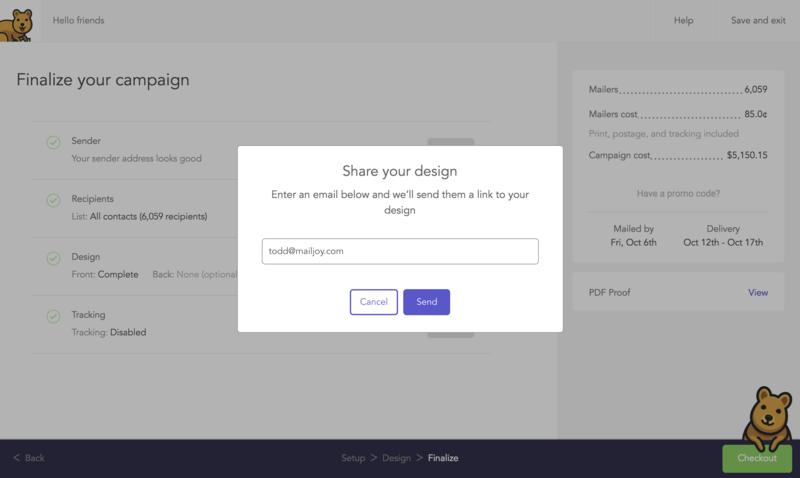 Simply tell us their email and we'll automatically send them a link to view your design. They don't even have to have a Mailjoy account. 1. When viewing a PDF proof, click Share. 2. Enter the email of the person we should send the link to. 3. 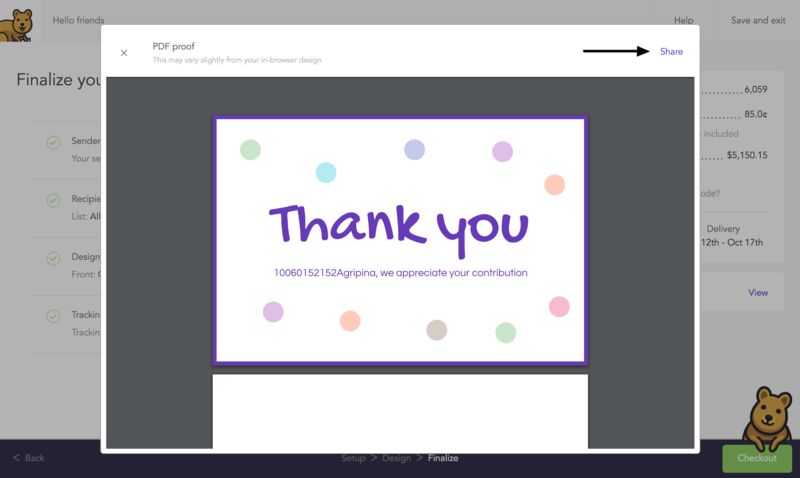 That person will instantly receive an email with the link to view your design.